A less obvious lock for curious little hands. Hidden inside the doors to preserve aesthetics. 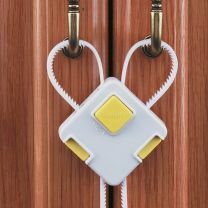 The Grip N Go Cabinet lock prevents access to cabinet's contents from your curious toddler. 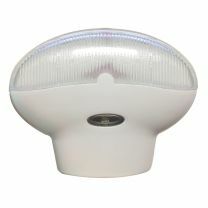 It features a SecureTech technology that lets you know when the lock has been secured properly. Find your nearest store of contact our Customer Service team for more information. This lock comes with a 3 way locking system. 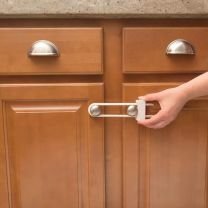 It is designed to keep curious toddlers from opening two handled cabinets. Find your nearest store of contact our Customer Service team for more information. 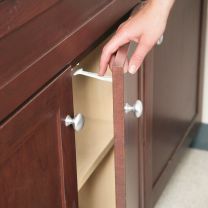 This Cabinet & Drawer latch restricts access to contents within cabinets and drawers. It has ua unique fold down feature that allows for the latch to be disengaged when not in use. Find your nearest store of contact our Customer Service team for more information. 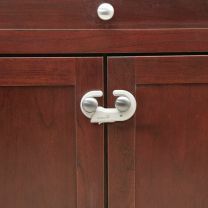 The Cabinet Side Lock keeps your curious child away from access to cabinet contents. 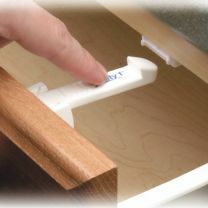 It is easy to install on to handles or knobs of the cabinets. Find your nearest store of contact our Customer Service team for more information. The Cord Shortener is designed to prevent access and tripping hazards caused by unused portions of electrical cords. The lightweight and sturdy plastic compartment holds up to 15cm of cord and is child resistant in design. Find your nearest store or contact our Customer Service team for more information. 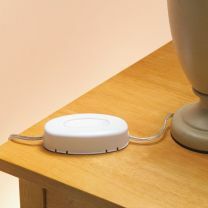 Outlet Plug Protectors protect your child from potential electrical shocks. 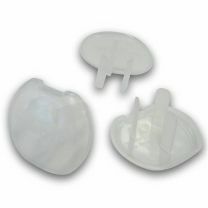 Made from durable plastic, effectively sealing off any standard Australian electrical outlets from children. Find your nearest store or contact our Customer Service team for more information.